The winter season is upon us- the weather is occasionally colder and icier, and people begin to count the days until they get a little time off from work or school. Why not warm yourself by the kindling Chanukah lights? Local Jewish groups are getting ready to roll out the red carpet for this well-known religious holiday, which will take place this year from sundown Dec. 16 to sundown Dec. 24. Drop by the DCJCC for family fun, including a moon bounce, games, crafts and more! Annual young adult shindig sponsored by several Jewish organizations, this year at both Capitol Lounge, and Hawk and Dove. Collection boxes at both sites for donations to local charity. Sixth & I brings Rabbi Sarah Tasman to Not Your Bubbe’s Sisterhood to talk about the Book of Judith and the North African tradition, Chag HaBanot, for honoring her, and Jewish women everywhere. Stop by Sixth & I for an amusing show featuring Rachel Bloom and Danny Jolles. Around Town for Purim 5773! Before we get too far along into Pesach, I wanted to take time off from school, work and a sudden flu to quickly present by annual Purim slideshow. This year’s pictures include from Adas Israel’s “Les Meshugenas” Purim Spiel and DCJCC GLOE’s camp-themed Purim masquerade. For a look at some of the video highlights from “Les Meshugenas,” click here! And click here to learn about GLOE’s actual summer camp experience, as well as other programming. Also, check out GatherTheJews if you are still looking for local Passover plans this holiday. Chag sameach! Also available on Facebook; click here to see. Around Town for Chanukah 5773! 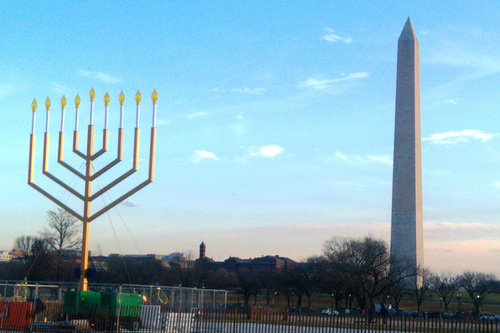 Once again belated…as we prepare for the secular new year, take a look back at some Chanukah celebrations around DC. Pictures include from Adas Israel’s Hanukkah Festival and Installation of Cantor Brown, Sixth & I’s Chanukah Shabbat with Rick Recht and my own lit menorah overlooking downtown Silver Spring. Click to view! Shanah tova—hope everyone had a sweet beginning to the new year and a meaningful fast! Hard to believe that after ten days of Awe, Sukkot, Shemini Atzeret and Simchat Torah are right on the horizon, no? Rabbi Feinberg’s Rosh Hashanah sermon on taking a critical look at issues of racism in recent Israeli past, and doing what we can to foster and support tolerance, diversity and acts of co-existence. Hearing Cantor Arianne Brown, the choir and accompanist! They made the spirituality of the day all the more accessible. Including a news report covering the massacre at the Jewish day school in Toulouse, France in the martyrology service. May the memories of the slain be for a blessing. Rabbi Steinlauf’s Yom Kippur sermon on finding “Makom,” or place, within the community. What are some of your favorite moments? Sound off! And enjoy the start to a prosperous new year. Purim starts on Wednesday, a festive holiday of rejoicing, yet again, in the fact that we (the Jews) have survived an attempt at persecution. 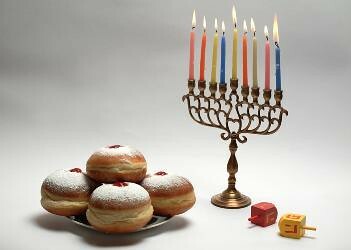 Though not as noticeable to the outside world as, say, Chanukah, it is definitely as fun—allowing people of all ages to dress up, eat special sweets, and wave noisemakers called groggers as the Megillah (book of Esther) is read out enthusiastically. 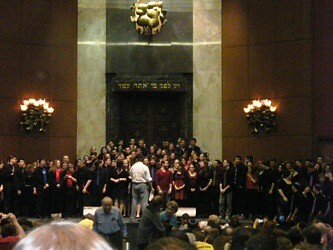 Once again the seats of the Charles E. Smith Sanctuary were almost completely filled as somewhere between 900 and 1200 people, according to sources, came to show their support for Kol HaOlam, the National Collegiate Jewish A Capella Competition. 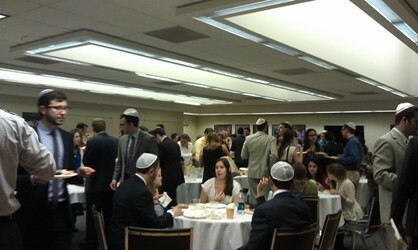 Ten groups from across the country showed up this year, including Indiana’s Hooshir, Wisconsin’s Jewop, Bimingham’s Kaskeset, Michigan’s Kol HaKovod, Washington state’s Staam, Queens College’s Tizmoret, University of Massachusetts Amherst’s Kolot, and three local groups—Kol Sasson, Rak Shalom and Mezumenet,all from the University of Maryland College Park. Mike Baxter, who hosts KolCast and started Six13, reprised his role as master of ceremonies. The judges this year included a capella guru and producer Elie Landau, director of DC’s Makela Deborah Sager, Jewish a capella singer, teacher and producer Jordan Gorfinkel and a capella singer and song arranger Brian Brandler. There was an increased focus on beatboxing this year, with Jordan Savitsky from Rak Shalom winning an award for his vocal percussion skills. While the judges tallied the scores for the 20 songs performed, Jordan Fontheim from the University of Rochester and Josh Leviton, aka “The Orthobox” from the University of Maryland, improved some impressive beats for the audience. The havdalah ceremony, officiated over by Rabbi Gil Steinlauf of Adas Israel, also featured musical accompaniment by recent DC Jewish a capella group Jew Vox. Tizmoret and Kol Sasson kept their first and second place medals, respectively, with Jewop gaining audience favorite. But since I captured both other Maryland groups on film last year, I of course had to pay special attention to Rak Shalom. Enjoy this Israeli classic. With a broad and enthusiastic audience and so many spirited singers, I imagine Kol HaOlam will be a DC Jewish tradition for more years to come!